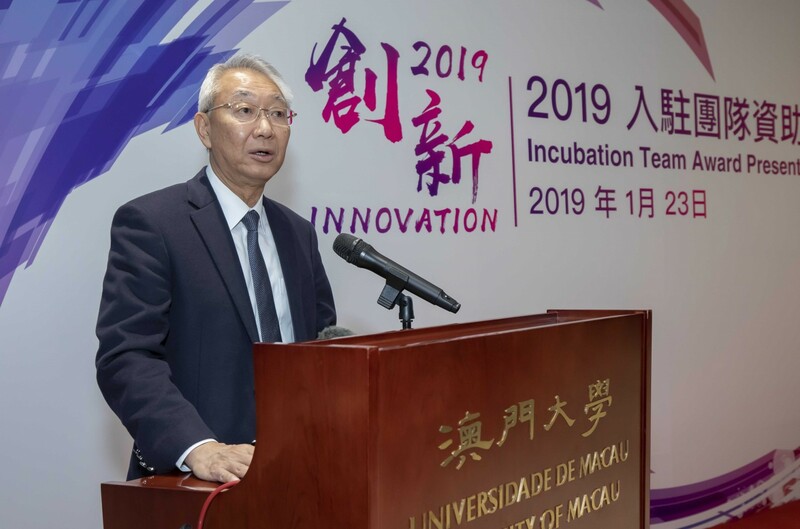 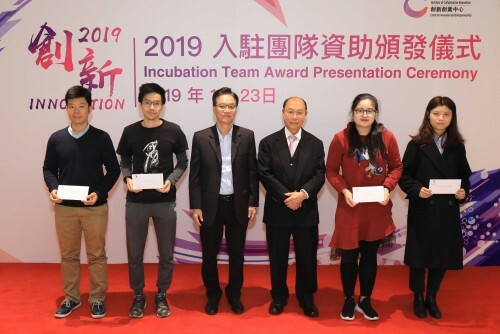 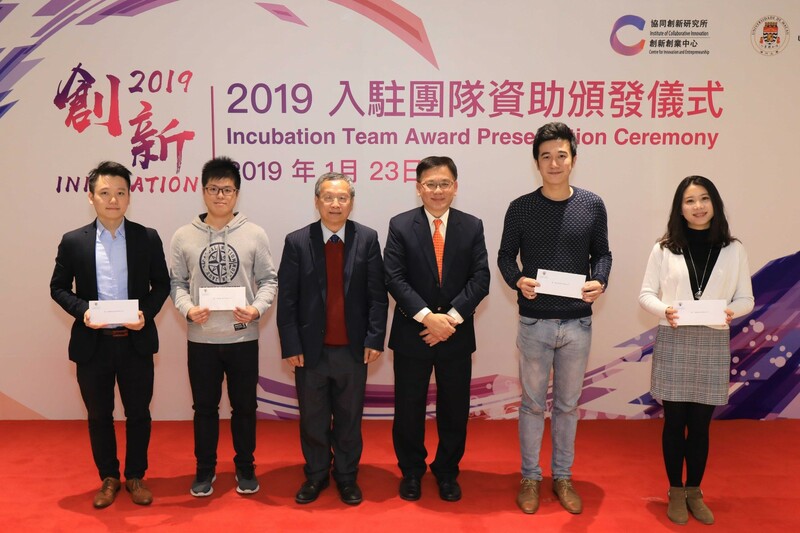 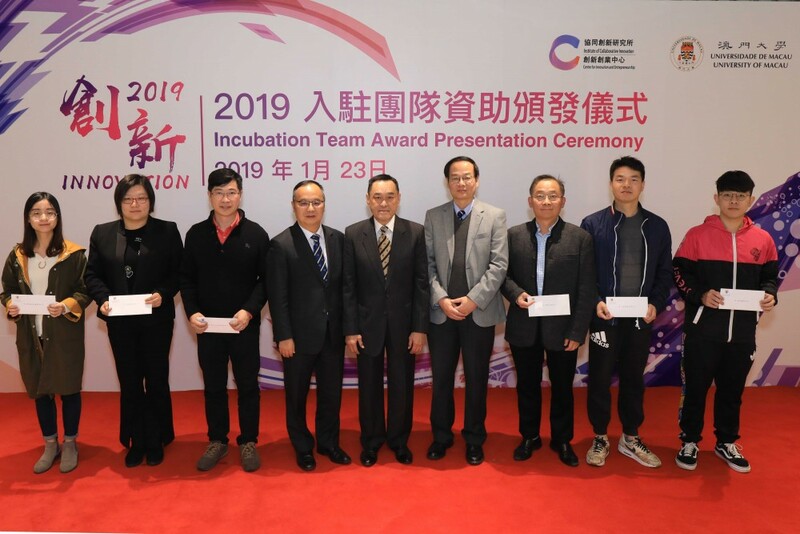 The University of Macau (UM) Centre for Innovation and Entrepreneurship (CIE) held a ceremony on 23 January to award the entrepreneurial teams incubated at the CIE. UM began recruiting entrepreneurial teams for business incubation in 2017, after a rigorous selection process, the first cohort of 20 outstanding teams were selected for business incubation at the CIE. With the support from the University of Macau Development Foundation (UMDF), the selected teams were awarded with start-up funds to put their innovative ideas into practice and establish their own businesses. Chair of the UMDF Trustees Committee Lam Kam Seng Peter and Rector of UM Yonghua Song, delivered speeches at the ceremony respectively. 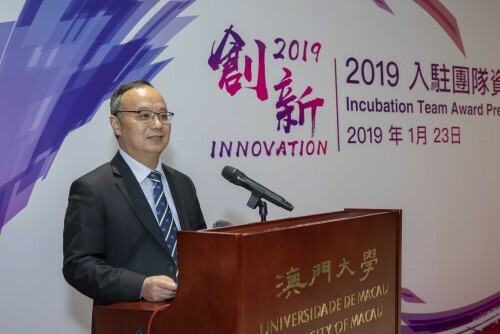 Guests are invited to the ceremony, including Deputy Director-General of the Economic Affairs Department of the Liaison Office of the Central People’s Government in the Macao Special Administrative Region Xu Jun, UMDF Trustees Committee members Lao Ngai Leong and Kong Tat Choi, Chair of UMDF Executive Committee Lau Veng Lin, UMDF Executive Committee members Kou Kam Fai and Kot Man Kam, President of Administrative Committee of the Science and Technology Development Fund Ma Chi Ngai Frederico, Deputy Director of the Macao Economic Bureau Lau Wai Meng, Vice Rector (Research) of UM Ge Wei, Secretary-General of University Council of UM Leung Kai Chun, etc.